Apart from employing German Nazi scientists, and adopting the methods, principles, and science of the Nazis in developing modern warfare, for what other purposes were Nazis sought after the end of World War II? How were Italian Fascists able to perpetuate their ideology and expand their networks after the US had occupied Italy, and particularly when the CIA was most active in Italian affairs? After all, was it not the case that the US entered WWII to “fight fascism”? What happened to the wealth stored in secret by the Nazis? How did the US interfere in Italian elections? Did the US sponsor terrorism in Italy? Is it wrong to associate the US-backed generals that seized power across Latin America in the 1970s, and after, as “Nazis,” or is there something substantially valid about the association? In which other ways did the US directly profit from taking over from the Nazis? To what high-profile positions were Nazis promoted after WWII? What were the consequences? In WWII Nazis were violently confronted, and only in strict military terms can it be said that they “lost” the war. The Nazis were not erased: they were simply rendered more or less stateless. The end of the war even allowed Nazis to expand their networks into new jurisdictions. Nazis came to be widely employed, and were even copied, in numerous nations for decades to come. It is well past time that we stopped repeating the myth that the US entered WWII in order to combat and defeat the Nazis as such, that it was all about “stopping fascism”. The evidence simply does not support such a view. In the US, where in recent years a significant sector of popular opinion has bestowed a sacred status on agencies like the CIA for presumably acting as a “check” on the power of a government elected by Americans, one would hope that a re-encounter with historical reality would have a sobering effect. Least of all should the broad public turn to something like the CIA for “the truth”—spreading truthful information is far from the agenda of the CIA, and it’s amazing that this reminder is even needed. Desiring an inversion of civilian rule, expecting an elected administration to bend its knee to the CIA and other agencies of the “national security” apparatus and show due deference and respect, is in effect the same as a coup, even if not the same kind of coup that the CIA has engineered in dozens of nations around the planet. What the CIA is not, and has never been, is a “check” on the expansion of Nazis and Fascists. Nazis in the CIA (2017) by director Dirk Pohlmann is a documentary that runs for 51 minutes, with each minute offering exceptional insight and information. It was originally released in German in 2013 as Dienstbereit—Nazis und Faschisten im Auftrag der CIA (which is the version that can be viewed online for free on YouTube and on Der Spiegel). It is in fact one of the best documentaries reviewed so far on this site. Far from a “conspiratorial” film that is automatically and thoughtlessly dismissed as such by the average good citizen naysayer, the film presents substantial documentation with an approach that is professional, calm, and expository. The film relies heavily on declassified documents revealing CIA activities after WWII, many of which were released to the National Archives in Washington, as well as interviews with experts and even some of the key actors discussed in the film. The subject matter of the film is obvious from the title. It takes us beyond the common knowledge of the basics of Operation Paperclip, by showing us that Nazis (not just Germans working under Nazis) were desired for far more than just their knowledge of rocketry and nuclear physics. And that is just the start. For those who are unable to obtain a copy, the film will be outlined below in detail, along with two clips. Paul Dickopf, in a still from the film. The BKA, the German Federal Police in Wiesbaden, was for six years headed by Paul Dickopf, a man who claimed to have opposed the Nazis. Until 1971, he was Germany’s top crime-fighter. In 1968, he became the head of Interpol. After his death in 1973, staff searched his files to compile an obituary of this man upheld by top government officials as an example for all German police. What they found was evidence that Dickopf had been a staunch Nazi, and a member of the SS. Not just a member of the SS and a Nazi spy, shortly before the end of WWII Dickopf entered employment as an agent of the Americans, under the CIA code name “Caravel”. This relationship continued past the end of WWII, and thus it was that the highest-ranking member of the German police force was an informant for the CIA, who passed on his government’s secrets to the CIA. Chancellor Willy Brandt was “of particular interest to the Americans,” as the film’s narrator tells us, reminding us that Brandt pursued policies that were increasingly independent of US geopolitical interests. CIA document indicating the agency’s arrangement with Paul Dickopf, code named “Caravel”. One of Dickopf’s key friends was the notorious François Genoud, a Switzerland-based Nazi financier. For a time, Dickopf even lived with Genoud. Genoud was an undying fan of Adolf Hitler. Genoud also safeguarded Nazi and SS fortunes after 1945. He published Goebbels’ diaries, and made a lot of money as a result, using the proceeds to finance the legal defense for Adolf Eichmann and Klaus Barbie. He was also connected to a range of Middle Eastern terrorism. CIA document showing that the agency was aware of the relationship between Dickopf and Genoud. Particularly damning are some of the film’s contentions. Genoud was reputed to be a financier of several terrorist attacks, including the hijacking of a Lufthansa flight that resulted in millions of dollars paid in ransom to Palestinians, as well as the Munich Olympic massacre of 1972, which resulted in the murder of 11 Israeli athletes. In response to these terrorist attacks, Dickopf—then head of Interpol—insisted that it was not Interpol’s job to solve international terrorist crimes, taking a radical “hands off” approach. 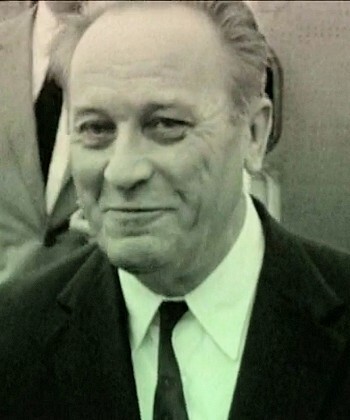 Documents shown in the film make it crystal clear that the CIA knew of Dickopf’s ties to Genoud, and that Dickopf himself told the CIA that he knew Genoud since WWII. Dickopf’s Nazi ID card–click to enlarge. Rather than damaging Dickopf’s career, it seemed to advance his prestige with the CIA and deepened his connection to US intelligence services. Relying on the historian, Dieter Schenk, the film argues that Dickopf’s connections probably explain why he was employed in the German Interior Ministry, and then rose to lead the BKA. His promotion to the top post of the BKA served CIA objectives, since he was then able to pass on information about German politics, especially concerning Willy Brandt and his policy of détente with the Soviet bloc, a policy known as “Ostpolitik”. Ostpolitik was viewed with considerable scepticism by the US. Dickopf, who took part in high-level policy meetings, was in an ideal position to pass on top secret information to the CIA—but it’s still not clear to what extent he may have compromised West German sovereignty (or what little it had). Why did Nazis—more than just Dickopf alone—serve the CIA after WWII? The film advances its first explanation, stating that American intelligence agencies used the Nazis’ pasts in order to blackmail them into service. This sounds almost like their service was not voluntary. Christopher Simpson, an historian at American University, is quoted in the film calling them “pawns” in the Cold War. In return for keeping details of the their past silent, the Americans made no effort to punish them for their crimes, and offered payment to Nazis of interest for their services in the fields of psychological warfare and covert operations. “The Americans were never very bothered if the people they needed had closes ties to mass murderers, or extremists, or terrorists. The ends justified the means”. 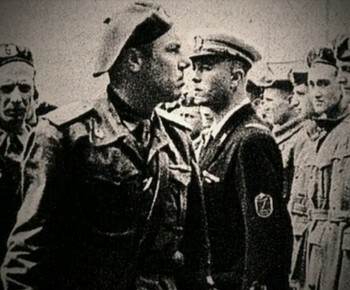 The film details the case of a notorious SS officer, Eugen Steimle, who was responsible for executing prisoners in the Soviet Union among other atrocities. Captured by the Americans near the end of WWII, and confronted with details of his crimes, Steimle cooperated with the US and provided them with information that helped to uncover a network of dozens of Nazi spies that had relocated to Madrid. With the collapse of the Third Reich, the Nazis in Madrid set to work on establishing the Fourth Reich, or “worldwide fascism” as the documentary translates it. The Americans observed the Madrid-based Nazis, and then recruited them to work on their behalf. Steimle had in fact been sentenced to death by hanging, following his interrogation. However, he was then pardoned. There is no proof that the US intervened on his behalf for, as the film states, “there are important files missing from the US interrogation center in Oberursel”. More than just Nazi spies, the US was interested in obtaining Nazi wealth. Towards the end of the war, German industries made plans to store their capital in the event of defeat. The idea was to reconstitute Germany after Hitler, and as Simpson notes in the film, some of those plans still exist. Meanwhile, Allied intelligence services under US direction tracked the movement of Nazi capital in an operation code named “Safe Haven”. The US was aware of a network of foreign companies created to safeguard the funds, and of a network of depots in which gold and cash were stored. Monaco in particular was home to numerous shell corporations that kept millions of dollars’ worth of Nazi capital. Kurt Georg Kiesinger, on parade with Queen Elizabeth II. Sitting on the board of one of the shell companies in Monaco, one that posed as a broadcaster, was a certain Kurt Georg Kiesinger, who would later rise to the highest political office in Germany, becoming the West German Chancellor. His service as a Nazi is typically downplayed in Western encyclopaedia articles, which emphasize that he was “cleared” by Allied courts. This saves them from stating that, from early on, we have witnessed the resurgence of Nazis in Europe (rather than all of a sudden since 2016). Especially knowledgeable of the Nazis’ financial transactions was a US intelligence agent, based in Switzerland: Allen Dulles, who would soon rise to the top of the CIA. In addition the US was aware that after it had bombed the Deutsche Reichsbank in March of 1945, 360 tons of gold and 300 tons of silver and banknotes were spirited away. Sixty years later, Karl Bernd Esser found the missing bank documents that recorded how much capital was held by the bank at the time of the bombing. Esser found that all the gold was moved to Merkers or to select depots in Bavaria, in documents that listed how much was deposited in each depot. Thanks to Operation Safe Haven, the Americans knew exactly where the gold was stored—and they raided almost every single depot. US forces entered the Soviet occupation zone, at the Merker’s salt mine in the eastern state of Thuringia, before the Soviets themselves. The US declared the Reichsbank gold to be “Nazi loot,” and appropriated it for themselves. They also found other treasures there, including Italian gold reserves. The US did not turn over the loot to either the victims or the relatives of victims of the German Nazis and Italian fascists, nor did they return the seized capital back to either Germany or Italy. This was an act of plunder, pure and simple. It was outright theft. The Americans looted German and Italian reserves—“to the victor go the spoils” indeed. “The Marshall Plan was a successful American invention of how to trick ‘friends’ without them realizing it. If I take a thousand Euros from you, and you don’t notice, and then I say, ‘I’ll lend you a thousand Euros and you pay it back with a bit of interest’. You’d think, ‘What a nice gesture’. But in reality, I took a thousand Euros from you already, you just didn’t notice”. From the US perspective, laying claim to money that had been stolen from Europe’s Jews, without returning it to either the surviving victims or the families of those killed, could be rationalized as follows: the Exchange Stabilization Fund was set up early during World War II to seize Nazi assets in international trade, as part of an international blockade of Germany. In post-war Italy, and at the start of the Cold War with the USSR, the US was gravely concerned that communism was becoming hugely popular with Italian voters. In fact, Italy’s Communist Party would grow to become the world’s second biggest Communist Party in terms of membership, and the biggest in the West. The CIA repeatedly interfered in Italian elections, in an attempt to thwart the rise of the Communists. The US intelligence services did not only use their knowledge and looted treasures in Germany to recruit Nazis spies, they also actively recruited Italian Fascists during the Cold War. When US troops first entered Italy they encountered some Italian forces that refused to surrender and continued to fight on the side of the Germans for two years. One of these was the world’s first frogman commando unit, the Decima Flottiglia MAS led by the so-called “Black Prince,” Valerio Borghese. They continued to fight for two years, before the US finally seized Italy in 1945. Borghese had been almost killed by Communists at the end of the war—and this gives us a second explanation for why “the enemy” enlisted with the CIA: a personal anti-Communist commitment. 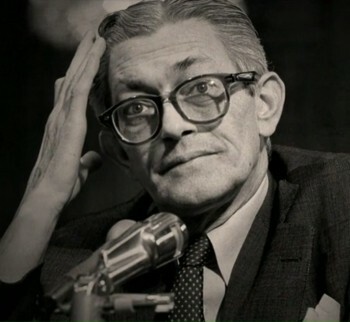 CIA agent James Jesus Angleton drew up plans for a coup in Italy, in the event that the Communist Party was elected into power during the critical elections of 1947–1948. Angleton and Borghese became good friends. The film states that the CIA in fact enlisted Borghese. 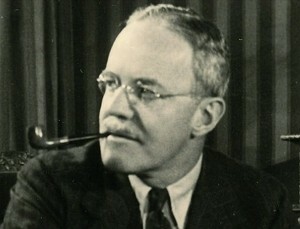 As indicated by the historian, Christopher Simpson, Angleton succeeded in convincing the US government to plough millions of dollars into Italy in an effort to disrupt the elections. The US used funds from Operation Safe Haven, discussed above. Money, much of which had been looted from Europe’s Jews by the Nazis, was now being employed by the US to subvert Italian elections. In the event that Italy voted to become socialist, in a democratic election, the CIA established a so-called “stay behind network” of underground subversives that were paid and trained to overturn the democratically elected government. As the Communists in fact lost the election, Gladio was called off. The Soviet Union itself gave up on having Italy join its camp, and effectively sealed off that option by signing on to the Yalta agreement. “Our political position was very simple and quite clear. It was based on historical experience for which we had great respect, and that was fascism. We tried to apply basic fascist values to the reality surrounding us”. In 1970, Fascist rebels planned a coup in Italy, with the intention of seizing power and eradicating leftist parties. They discussed their plans with the CIA. Historian Alessandro Massignani speaks in the film attesting to knowledge uncovered that the CIA was informed of the Fascists’ plans. On December 7, 1970, supporters of Delle Chiaie in a group calling itself Avanguardia Nazionale (National Vanguard), along with members of the Italian military, set their plan in motion. Their first targets were to be the state broadcaster, RAI, and government buildings. While Delle Chiaie claimed responsibility for hatching the coup (“I was morally and political responsible,” he states in the film), this documentary states that the coup was driven from elsewhere. Indeed, by his own admission, Delle Chiaie was not even in Italy at the time. The documentary claims that figures such as Delle Chiaie and Borghese, “were just puppets”. The film instead names Giulio Andreotti, the leader of the Christian Democrats, seen as virtually a pawn of the US, as being the power behind those acting in the intended coup. Alongside Andreotti was Licio Gelli, head of the P2 (Propaganda Due) Freemasons lodge and a CIA agent. Shortly before the coup started, the US Sixth Fleet was put on a state of alert. The film suggests that Gelli and Andreotti were keen on impressing the CIA, showing that they had the power to implement and call off military coups. The film also sheds doubt on the standard, authorized narrative surrounding the kidnapping and murder of former Italian Prime Minister Aldo Moro in 1978. The official explanation is that the left-wing terrorist group, the Red Brigades, were responsible. However, it was discovered that senior intelligence agents and military officials were also involved, and that the CIA and Gladio had succeeded in effectively seizing the direction of the Red Brigades. 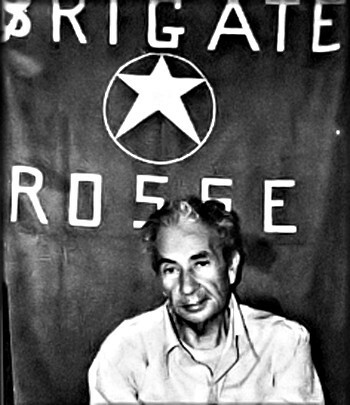 Aldo Moro had been part of the “historic compromise” with Italy’s Communist Party, that saw the formation of a “government of national solidarity”. Moro was in favour of the “Third Way”. The international, geopolitical ramification of this Third Way was alignment with neither the USSR nor the USA. Then US Secretary of State Henry Kissinger, threatened Italy with the kind of upheaval engineered in Chile in 1973 against the government of Salvador Allende, if it had chosen non-alignment. Having been sold out after the 1970 intended coup in Italy was called off, Fascists like Delle Chiaie and Borghese went underground and fled to South America. Even Gelli ended up in Argentina. Stefano Delle Chiaie explains in the film that they wanted to spread Fascism, and their efforts met more fertile ground in South America, pointing out that many parties in South America had Fascist or Nazi roots. Italian Fascists, along with the CIA, actively supported General Augusto Pinochet in his coup against President Salvador Allende on September 11, 1973. Allende led a democratically-elected socialist government that took office in 1971, and from the start the US could not tolerate a peaceful revolutionary alternative that lessened US dominance. That is still true today, as we see in the case of Venezuela. Delle Chiaie explicitly claims in the film that he and Borghese were involved in supporting the coup, and that in 1974 when they were in Santiago, Chile, they met with General Pinochet who personally hosted them, and the Italians started working more closely with his government. The Italian Fascists not only formally cooperated with the Chilean intelligence service, DINA, they also set up their headquarters in Chile. Despite US support, particularly from the CIA and Henry Kissinger, Pinochet and the Italians came to the view that the US was not as ardent as it should be in combating communism worldwide. Pinochet and the Italian Fascists discussed plans for a worldwide war, which would require certain weapons to be effective. Using Chilean political prisoners as guinea pigs, Chile’s military developed biological weapons, and particularly sarin and mustard gas. The research laboratory used for inhuman experimentation was Colonia Dignidad, so infamous that it has now been popularized as a horror film featuring Emma Watson and titled Colonia or The Colony (2015). Disguised as a farm, it was a truly bizarre place, featuring cult-like staff decked out in German folkloric outfits as if living in a traditionalist hyper-Aryan utopia, while conducting torture underground. A German doctor, Hartmut Hopp, conducted experiments at the facility. Stefano Delle Chiaie, who personally spent time at Colonia Dignidad, tells us in this film that he was personally impressed with the compound—that it was like something he would have “dreamed” setting up for his comrades. The CIA gave its Nazi and Fascist proxies in South America free rein to expand their activities throughout South America, beyond Chile. On July 17, 1980, a military coup in Bolivia led by General Luís García Meza, known as the “cocaine coup” (since it was financed by cocaine traffickers) was also backed by agents recruited by Klaus Barbie, the former Gestapo chief who committed numerous atrocities in Lyon, France, during WWII. Ultra-right Republican Senator Jesse Helms supported Meza, as did the Reagan administration. When the US launched its so-called “war on drugs,” it then turned on key people in the Meza administration. Stefano Delle Chiaie met with Klaus Barbie in Bolivia. He describes Barbie in this film as a man of “great character, very intelligent, very capable, great integrity”. Barbie, also known as “the Butcher of Lyon,” was contracted by American intelligence services after WWII. Delle Chiaie himself led a troop of mercenaries in Bolivia, as this film explains. The cocaine trade was critical in financing an operation such as this, and as the film states, cocaine is a sector that has been entwined with secret services worldwide. This is the kind of drug trade that has been protected by the US, unlike that other drug trade. Barbie, the film emphasizes, was himself critical to the development of Bolivia’s cocaine industry by introducing a systematic regimen of punishments—so successful, that he gained notoriety, and this eventually led to his extradition to France and death in prison in 1991. The film then presents its third explanation for why and how Nazis became involved with US intelligence. In this instance we hear again from Christopher Simpson who explains “intelligence entrepreneurism”: wanted Nazi officers would lay their hands on whatever intelligence assets they could, and then offer to sell themselves to US intelligence as a valuable source of information necessary to fight the Cold War. Barbie was thus able to effectively buy his own freedom. This explanation for Barbie’s collaboration with the Americans is also confirmed in the film by Andreas von Bülow, a former Secretary of State in the German Federal Ministry of Defence. Klaus Barbie was found to be “a very compatible agent” (to quote Simpson) by a host of South American military dictatorships during the 1970s, who jointly with the US organized Operation Condor (for more, see the National Security Archive). The CIA was involved in this operation, which led to the murder of between 50,000 and 60,000 people in Latin America. The final 10 minutes closing the film begin with the conclusion that very few Nazis were actually held accountable for their crimes, instead rising to top positions of privilege and influence. One of the things the film does not discuss are the three competing explanations it offered for why Nazis came to be involved with US intelligence after WWII. To review, the first explanation it advanced was that American intelligence agencies used the Nazis’ pasts in order to blackmail them into service—so it was largely an involuntary and forced association. The second explanation was that Nazis and Fascists enlisted with the CIA given their personal anti-Communist ideological commitment. The third explanation revolved around “intelligence entrepreneurism”: former Nazi officers selling themselves as valuable sources of information. Did the filmmakers intentionally mean to present three explanations, and if so, which of them do they view as the most important one? This is not discussed. Though the structure of the film is sometimes problematic (material on Dickopf, for example, is widely separated, presented at the start and the end of the film), the strengths of the film are considerable. The overall scope of the film, the numerous topics and connections it reveals, the amount of information condensed into a relatively short time, on some key aspects of often neglected or forgotten history, make this an ideal documentary for a range of university courses. This film is strongly recommended for courses in History, International Politics, and Latin American Studies. Given the degree of research that went into the film, the engaging manner in which it is presented, and the many thought-provoking questions it raises, it deserves a score of 9/10. Pingback: A guerra terminata i rapporti tra i nazisti e la Cia. – L'Agenda Resistente, il blog di Patrizia Cordone.